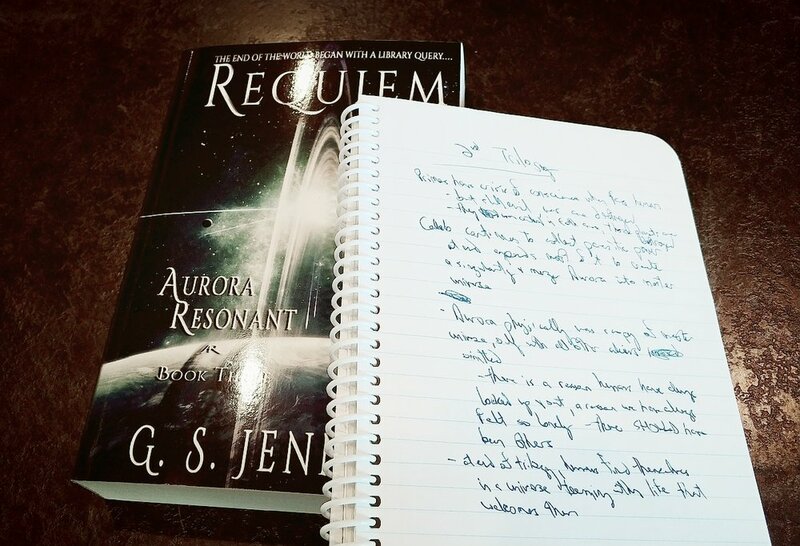 In reading back through my notes (when I could decipher them—my handwriting is chicken scratch in the best of circumstances, and these were written in a moving car), the biggest thing that struck me was how little changed from initial brainstorming to the released books. But talking about what stayed the same is BORING, so instead I’m going to talk about what changed, along with a few tangents inspired by this stroll down nostalgia lane. One of the biggest changes, plot-wise, relates to the virus that Olivia’s Artificial unleashes on the Prevos in Relativity. Initially, rather than put the Prevo into a coma or kill them, the virus was going to alter their personality in pernicious ways (in this respect, not unlike the virutox in Exin Ex Machina). Mia would have been infected (among others), leading her down a dark and ultimately tragic path. But Mia wasn’t interested in getting taken out a second time. She kept muttering something about ‘agency’ and ‘Hell, no,’ and eventually I had no choice but to listen to her. I’m glad I did, as it meant she was able to go on and play a crucial role in curing that very virus, as well as a wonderful role in the final two books. 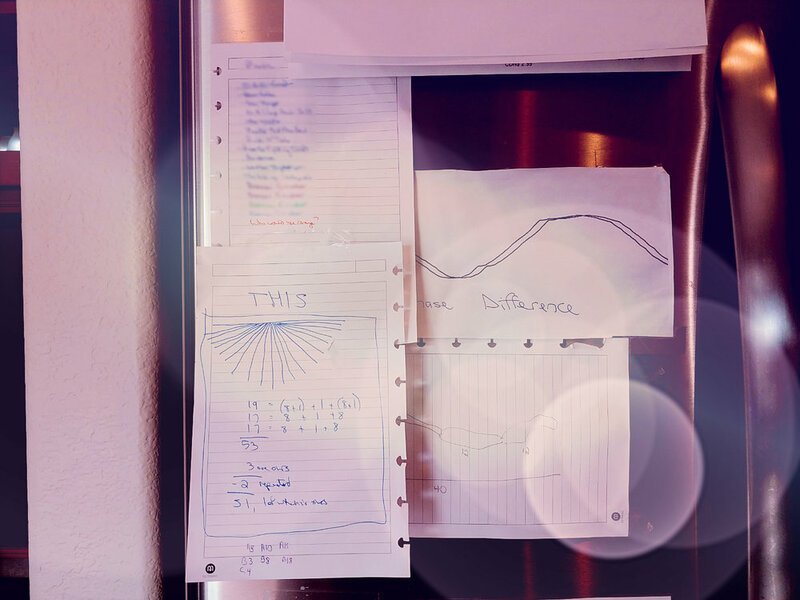 Another major change that was more subtle but also more far-reaching was the nature of the Anaden integrals. Initially, they were going to be much stronger and more invasive, bringing the Anaden Dynasties closer to either a hive mind or, more likely, a master/slave or queen/worker structure. But such a structure would have severely limited the possibilities for rebellion from within—and can you imagine Resonant without the anarchs? Without EREN?? Right. When I wrote Transcendence, I never intended Mia and Malcolm to later become romantically involved. I mean, who would matchmake those two? I only threw them together in Transcendence because I thought they would clash, which is great for dramatic tension. I knew I was in trouble, though, from the moment they met in that bunker on Romane, when the sparks practically flew off the pages. And nearly set the pages on fire in their single meeting in Sidespace. 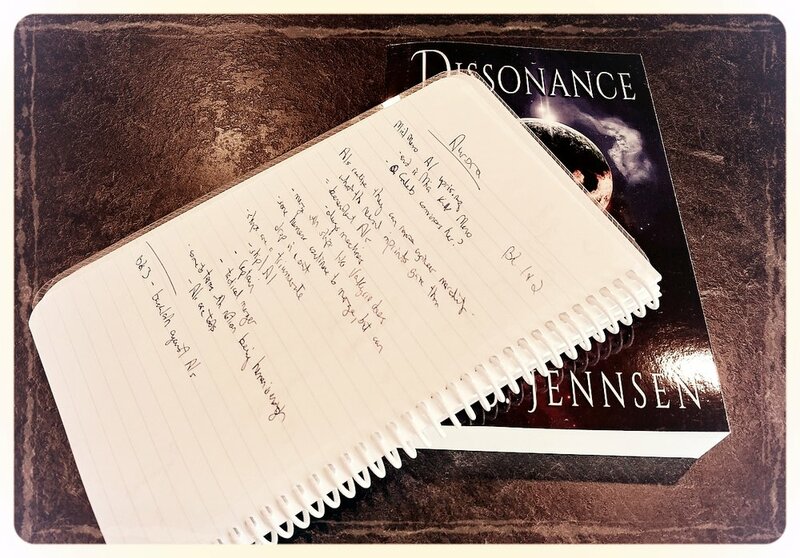 Still, I resisted well into writing Dissonance. But some things are meant to be. Apparently. I continued to throw obstacle after obstacle at them right up until the end, all of which they batted away like pros. An aside, since we’re talking about Mia: A lot of readers are commenting on how much Nika and Alex have in common. It’s true, they do share a number of characteristics, especially the hero-esque ones. But I would argue that, if you set aside Nika’s combat capabilities, the Rhapsody character she’s most like is Mia. … ... But that’s another blog post ;). 2nd aside, since now we’re talking about Nika: Nika and Eren are actually two divergent evolutions of a single character concept I had for the protagonist of a stand-alone novel. That hypothetical novel has been chopped up and many of its best ideas used in Asterion Noir, but I think it’s neat that the soul of the character who could've been lives on in two of my favorite characters. Also, I can’t promise that the novel’s concept won’t pop up as a short story one day. The question of who was going to execute Jude Winslow in Abysm was up in the air for a long time. Many of the major characters face character-defining moments in Abysm, and this action definitely would have qualified. So who did the deed was important, and also complicated. Why not Devon? 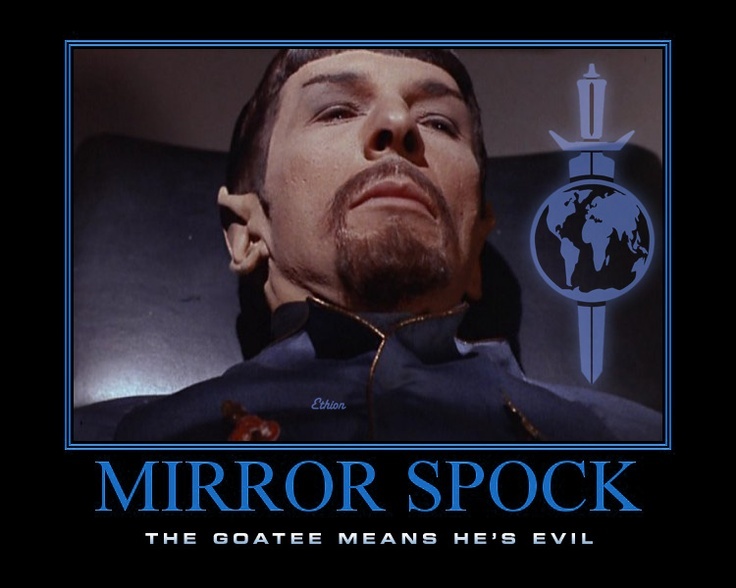 Because his conversation with Jude (in which Devon consciously chooses not to kill Jude) showed far more powerful and compelling character growth than him taking revenge would have. Why not Alex? Because she'd already crashed into the bottom of the chasm, faced her moment of truth and turned away from the darkness, into the light. I did consider having Jude die in her strike on the OTS hideout, but that would have robbed his death of the impact it deserved. Why not Mia? This was a little tougher, honestly. Her later arguments with Malcolm on the subject show that she recognized the need for his death. But as a public figure and leader now, she was also trying to live by society's rules, and to defy them with malice aforethought would feel to her like a slide back toward the past she'd escaped. Why not Malcolm? To have Malcolm kill Jude in cold blood would be a betrayal of his character, clearly. So, like with Alex, this would have of necessity changed the circumstances of Jude's death and thus minimized it. An aquatic species initially slated to appear in Renegades eventually became the Galenai in Resonant. For the first several months, the Anadens were referred to as “Human Primes” in my notes and my head. I knew they’d need a proper name, of course, but in the early days it worked well as a short-hand that captured their nature rather well. The Ruda were originally crystalline rather than metal, but the image of their world I had in my head was much more powerful when painted in hard metals instead of sparkly crystals. 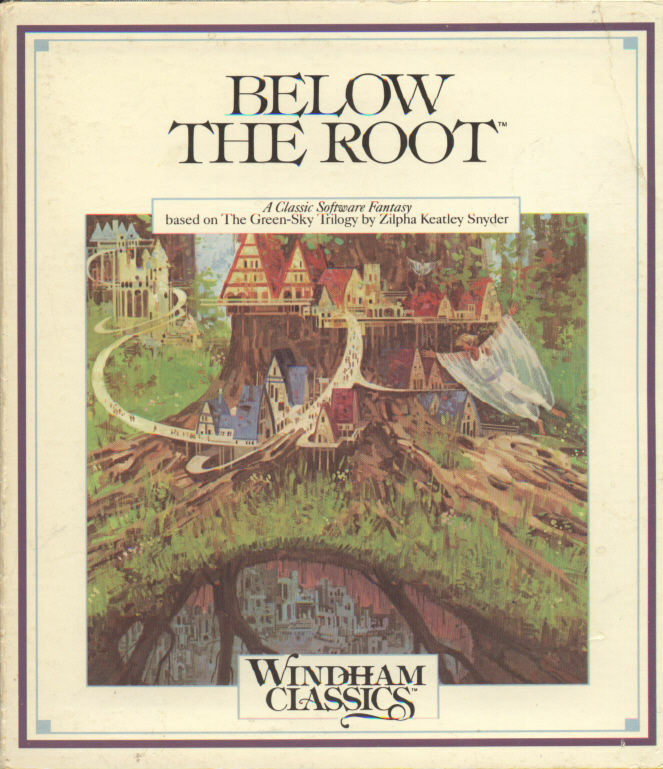 The Taenarins’ underground world was inspired in part by Below the Root, one of my husband’s favorite video games from his childhood, which is based on the Green Sky Trilogy books by Zilpha Keatley Snyder (who also co-wrote the video game). David Solovy initially came back wrong. KIDDING!!! That resurrection was 8 books in the making, and I'll be damned if I was going to screw it up. My husband likes to say that my greatest trick in the series was having the main character be dead until the last book. I won't go quite that far, because Alex and Caleb's strength and heroism should never be discounted. But there's no question that David Solovy was the whisper between every line; the shadow in the negative space; the spirit giving Alex, Miriam and Richard the fortitude to push ahead when their worlds were darkest. And for all that, when he finally arrived, it turned out he was just a man. A damn good man. So about the chicken scratch. It's not just my writing - it's my drawing, too. THIS is why almost all my notes, outlines, flow charts, etc. are digital. Of course, my husband thinks my drawings are "cute." He tapes them to the refrigerator. (In fairness, we don't have kids, so something's got to go on it, right?) He's currently trying to tape the notebook that spurred this blog post to the fridge - the whole thing. I'm trying to intervene. But, I have to admit, it was very cool randomly coming across this piece of written, physical Aurora Rhapsody history and being able to flip through the pages and smile. Then take pictures and share it with you all :). *PSA: Don't. Sure, the first 6 hours or so were fun - seeing the countryside, feet on the dash, creating far-off worlds and aliens and committing them to paper. But then there was another day and half of driving left. With two cranky dogs (and one non-cranky husband; he loved the whole journey). In subsequent years, it's been a pet sitter and airplanes all the way!